We offer guests and members an organic Hunter Valley wine experience with a difference. Our French inspired boutique Hunter winery and cellar door is set amongst Provencal gardens, urns and fountains with the Wollombi Brook and Brokenback Range providing a spectacular backdrop. 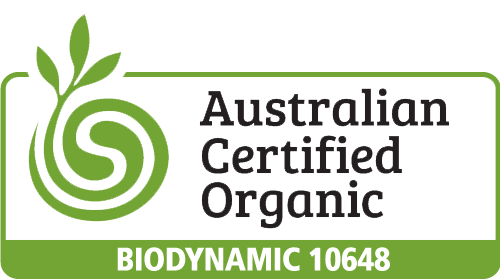 Not only are our wines certified biodynamic, every aspect of our Hunter Valley vineyard and farm is managed in a biodynamic, organic, wholistic and sustainable way which is evident in the individuality and superior quality of the wines. 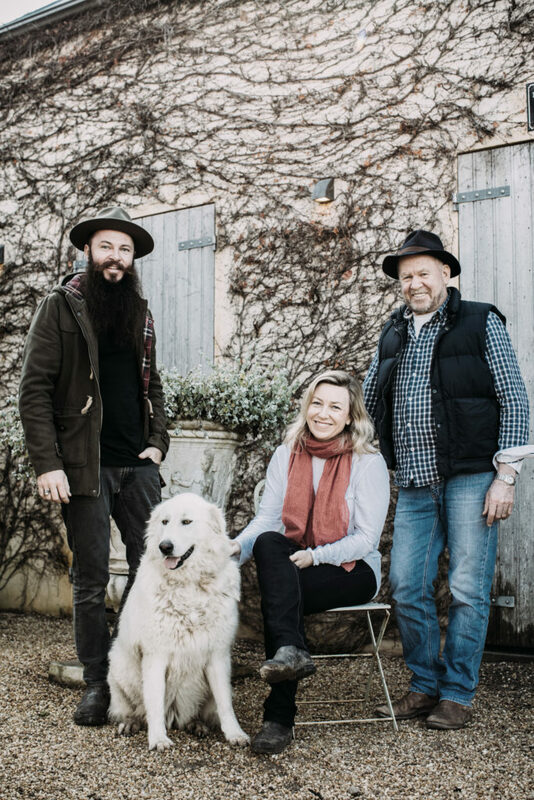 The Krinklewood journey began almost 40 years ago when the Windrim family planted their first vines in the Hunter Valley. 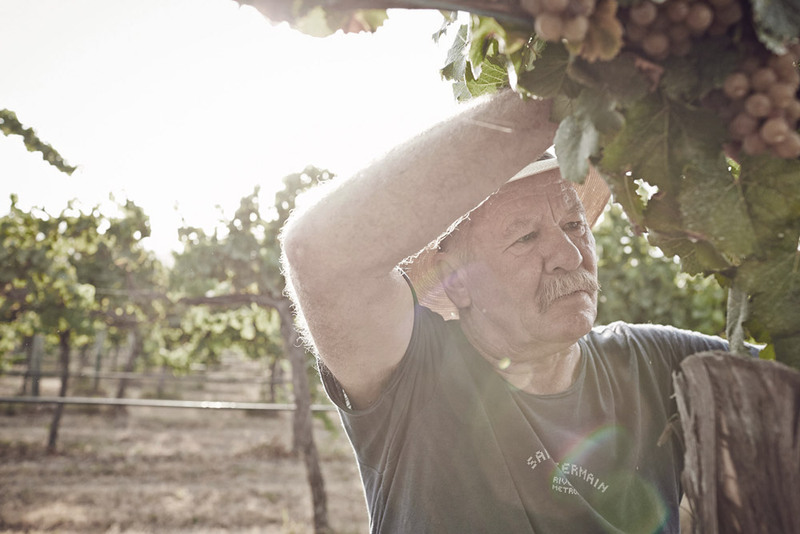 The lessons came hard and fast, but they only fueled the passion the family had for growing grapes. Rod caught the Organic bug early on, and was soon wading through the Biodynamic literature of Rudolph Steiner. He loved the natural processes and the homeopathic treatments of the teachings, and thus worked tirelessly to have the entire family farm certified organic and biodynamic in 2007. The unique bull logo is somewhat a tribute to the family’s beloved Limousin cattle. Prior to the vineyard being planted, Krinklewood Biodynamic Vineyard was home to more than 60 Limousin cattle. Gradually the herd has been reduced to make room for the vines, but the remaining herd still roam freely and contribute significantly to our biodynamic farming practices. This striking breed of cattle originate from the Limoge province in France where an ancient cave painting depicting the bulls gave inspiration for the Krinklewood logo. The farm today is one biological ball of life and is home to a myriad of livestock including Limousin cattle, chickens, pigs, maremma dogs, geese, peacocks, bees, and one soulful old horse that just won’t quit. And every one of these beautiful creatures contributes in some way to the “life energy” on the farm. We find working alongside nature rather than against it results in a farm with healthy soil full of life. Our healthy vines thus produce well ripened fruit with wonderful flavour, good pH, natural acidity and characteristics that reflect the unique Krinklewood terroir. The vineyard is located in the southern end of the Broke Fordwich valley and experiences it's own micro-climate cradled within the towering Brokenback mountains. Slightly cooler temperatures and extended ripening periods are well suited to the varietals grown at Krinklewood. The current vineyard was planted in 1998, the whites are located on a flat bed of free-draining loam soil which is ideal for producing classic Hunter Valley Semillon, Verdelho and Chardonnay. In more recent years we have added to the vineyard with small plantings of Gerwurztraminer. The red vines are situated on a gentle slope of clay-loam organic soil which is well suited to classic Hunter Shiraz, and a small planting of Tempranillo. Every aspect of our vineyard is managed with the utmost delicacy and care ensuring only the most premium fruit makes it's way into our winery onsite. Every aspect of the farm is managed in a wholistic and sustainable way, without the use of any chemicals. For more information on how we manage our farm biodynamically, go to our Biodynamics page or view this little video below filmed during vintage.